Thank you to all the folks who attended or otherwise helped make the March luncheon a success! 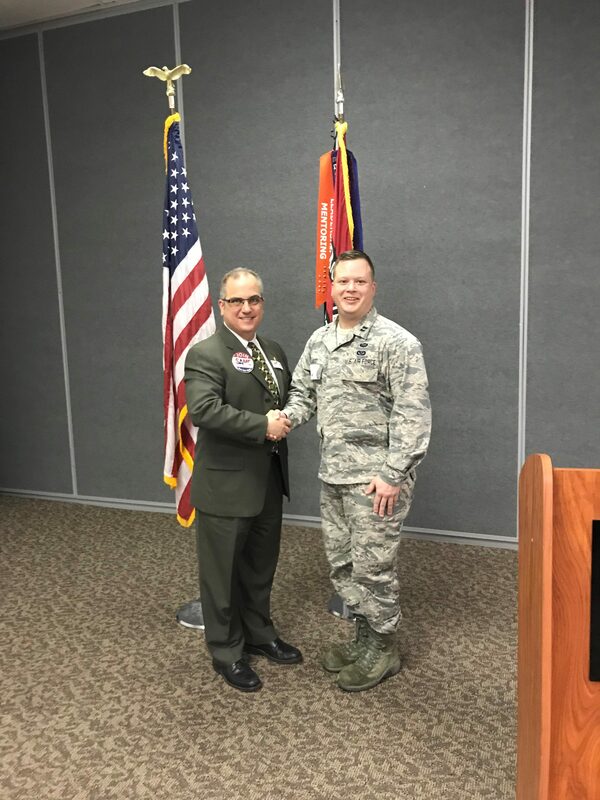 This month, the meeting included the Air Force Institute of Technology (AFIT) Graduate of Engineering Management (GEM) Award presentation, given to Capt Ted Labedz. 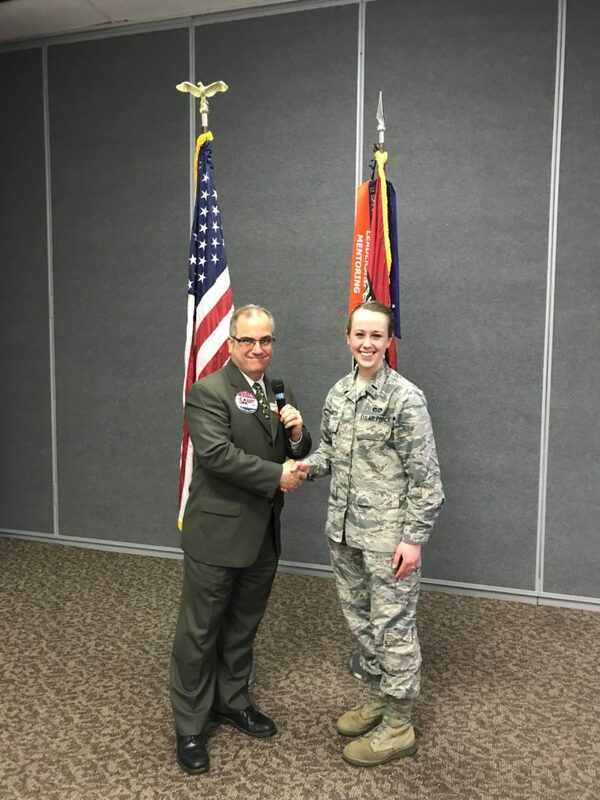 Thank you to 1st Lt Jenee Jagoda for her presentation on 3-dimensional concrete printing and overall participation! As always, please mark your calendars for the next scheduled luncheon and meeting on Thursday, 11 April. Please use the link on the front page to register and receive additional details. Thank you, and we’ll see you then! This entry was posted in Post Notes and tagged AFIT, GEM by Jesse Lantz. Bookmark the permalink.